There are two appeals listed in the Supreme Court this week. First, on Monday and Tuesday, 23 and 24 November 2009 a five justice panel of Lord Hope, Baroness Hale, Lord Brown, Lord Collins and Lord Kerr will hear the case of Tomlinson v Birmingham City Council. Our case preview is to be found here. Second, on Wednesday and Thursday, 25 and 26 November 2009, a seven justice panel of Lord Hope, Lord Rodger, Baroness Hale, Lord Brown, Lord Collins, Lord Kerr and Lord Clarke will hear the case of Re S-B (Children). The case preview is here. One judgment has been announced – in the case of Office of Fair Trading v Abbey National, heard on 23 to 25 June 2009 by the Judicial Committee – judgment will be given at 9.45am on Wednesday 25 November 2009. No hearings of the Judicial Committee of the Privy Council are listed this week and it has not announced any judgments (although little in the way of prior notice has been given over the past two months). The Supreme Court has made a number of unannounced permission to appeal decisions over the past week. In the continuing absence of any official record we have picked up some of them from news reports We understand that when the Court’s case management system is working properly with its website then the decisions will be noted there. Unfortunately, it is obviously not working properly as no decisions are displayed. In the interim the court should be posting the decisions in the News Section of its website. The House of Lords permission decisions were announced daily on the “Judicial Business” section of the House of Lords website and it is surprising and disappointing that the Supreme Court is lagging behind its predecessor in terms of public communication and transparency. 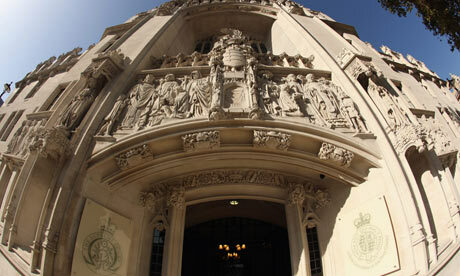 Leave a reply on "In the Supreme Court w/c 23 November 2009 [updated]"